Obesity is a serious public health issue in the Western world and rapidly climbing in developing countries. The data overwhelmingly suggest that bariatric surgery is currently more effective than conventional medical therapy. As the volume of bariatric surgery is increasing worldwide, it is essential to safeguard the standard of bariatric training and facilities that provide bariatric services. Bariatric operations were originally designed as a restrictive procedure, such as gastric band and sleeve gastrectomy, or mal-absorptive procedures, such as Roux-en-Y gastric bypass. Laparoscopic bariatric surgery requires mastery of a broad range of cognitive and technical skills, including the management of severely obese patients. In the UK, the bariatric training pathway cumulates in a fellowship of 6 months to 1 year. During a bariatric fellowship, trainees start by learning the skills required in laparoscopic gastric banding including access in obese patients, trocar placements, liver retraction, pars flacida approach and laparoscopic suturing. Once these competencies are achieved, trainees progress to learning more challenging procedures such as laparoscopic Roux-en-Y gastric by-pass (LRYGB). Structured training programmes adapt the teaching methods to the learning styles of trainees and facilitate trainees to go through the learning cycle under close supervision to minimise the proficiency-gain curve effect. Video-enhanced feedback forms an integral part of continuing self-reflection and assessment. Bariatric fellowships should be based in bariatric centres that can provide sufficient exposure, adequate case volume and variety of operations, and meet the professional standards for delivering patient-centred multidisciplinary care. Health Survey for England – 2010: Respiratory Health. The NHS Information Centre. 2011. Available from: www.ic.nhs.uk/pubs/hse10report. Butland B, Jebb S, Kopelman P, McPherson K, Thomas S, Mardell J, et al. Foresight tackling obesities: future choices – project report. Foresight; 2007. Available from: www.foresight.gov.uk. National Audit Office. Tackling Obesity in England. London: the stationery office; 2001. Available from: https://www.nao.org.uk/report/tackling-obesity-in-england/. Shedding the pounds. Obesity management, NICE guidance and bariatric surgery in England. Office of Health Economics; 2010. Available from: http://www.rcseng.ac.uk/news/docs/BariatricReport.pdf. Obesity. Guidance on the prevention, identification, assessment and management of overweight and obesity in adults and children. NICE clinical guideline 43; 2006. Available from: http://www.nice.org.uk/guidance/index.jsp?action=download&o=30365. Story of Obesity Surgery [Internet]. American Society for Metabolic & Bariatric Surgery. [updated 2005 May 25, cited 2014 Jan 20]. Available from: http://asmbs.org/story-of-obesity-surgery/. Scholtz S, Miras AD, Chhina N, Prechtl CG, Sleeth ML, Daud NM, et al. Obese patients after gastric bypass surgery have lower brain-hedonic responses to food than after gastric banding. Gut. 2014;63(6):891–902. doi: 10.1136/gutjnl-2013-305008. Resources for Optimal Care of Metabolic and Bariatric Surgery Patient 2014. Metabolic and Bariatric Surgery Accreditation and Quality Improvement Program. Available from: http://www.mbsaqip.info/?page_id=54. British Obesity & Metabolic Surgery Society. Bariatric and metabolic fellowship core curriculum for the RCS national surgical fellowship scheme. 2013. Available from: http://www.bomss.org.uk/pdf/Bariatric%20and%20Metabolic%20Fellowship%20Core%20Curriculum%20for%20Post-CCT%20Fellows.pdf. Dean B, Pereira E. Surgeons and training time. BMJ Careers. 2011. Available from: http://careers.bmj.com/careers/advice/view-article.html?id=20005162. DeSmidt B. Medicare drops centre of excellence program in bariatric surgery. The Pipeline. 2013. 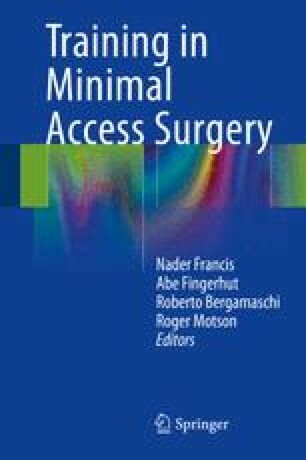 Available from: http://www.advisory.com/research/technology-insights/the-pipeline/2013/10/medicare-drops-center-of-excellence-program-in-bariatric-surgery.